Marian McQuade was an expert in grandparenting. A West Virginia mother of 15, she had 43 grandchildren and 15 great-grandchildren. If McQuade’s name doesn’t ring a bill, her work no doubt will. She was the founder of National Grandparents Day, which President Jimmy Carter signed into law in 1978. National Grandparents Day is held on the first Sunday after Labor Day (Sept. 13 in 2015; Sept. 11 in 2016; Sept. 10 in 2017). September was chosen to signify the autumn years of life, according to Legacy Project. 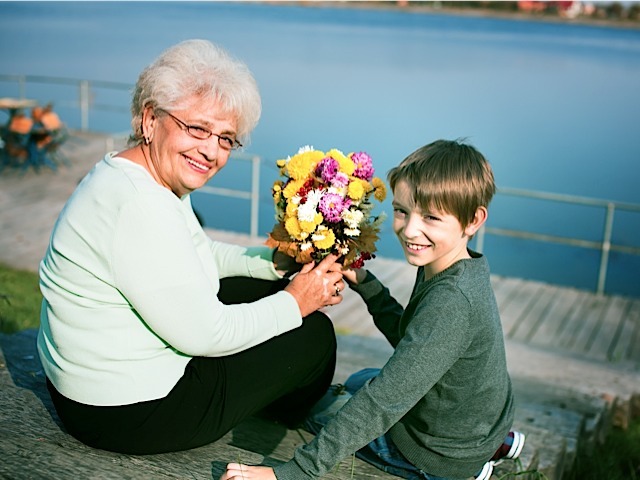 Send flowers: OK, this is an obvious one, but our founder, Hannah “Mom” Royer, was a doting grandmother and much loved by her grandchildren, as was her husband, Lester. Make a card: Draw a pretty picture and write a note to tell your grandparents how much they mean to you. Interview them: Grandma and grandpa have seen and experienced a lot of things in their lives. This handy interview form can help get you started. Listen closely to their answers because you can learn a lot. Trace your family tree: Here’s a family tree chart that will make it easy to identify the people in your family by generation. Read a book together: The kids club is a big believer in the power of reading. Here’s a terrific reading list to get you started. Of course, there is an endless list of things that grandchildren and grandparents can do together.